Soft strong wipes. Good seal on closure lid keeps wipes moist. 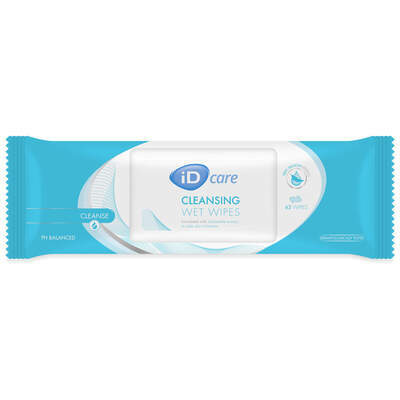 The perfect option for work environments providing care to the less able, these iD Care Cleansing Wet Wipes are a high-quality option. Developed by a leading brand, they have been designed to offer a super thick cushioning with delicately soft surface to make every cleansing session as comfortably as possible. The gently fragranced formula lends to that clean feel while a pre-moistened surface has been chosen to make them suitable for sensitive skin. Suitable for use on all skin areas, each of these durable wet wipes requires no additional water and has a thicker base usually noted in numerous wipes layered against each other. This economical pack is provided in a hard wear plastic casing with perforated opening for removal and clip down lid to lock in moisture.